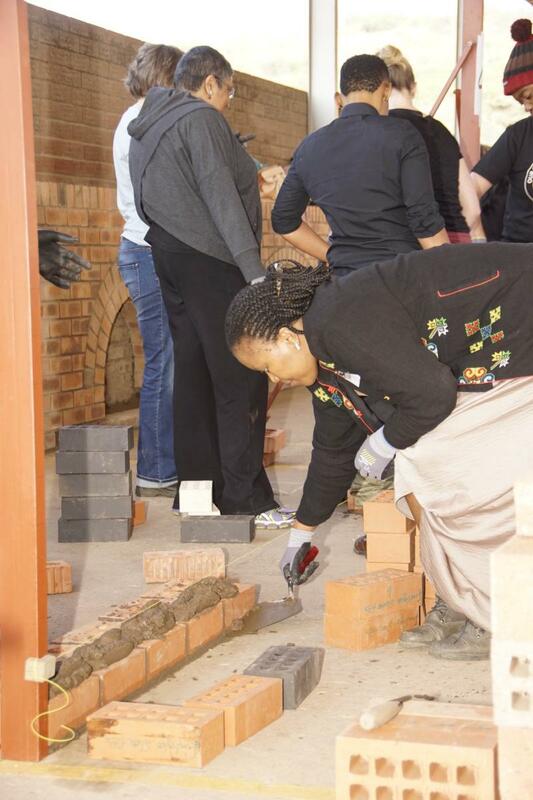 A busy afternoon of novice bricklaying and paving revealed some hidden talents and creativity among the various women participating in Creative Bricklaying Workshop at Corobrik’s Avoca Factory on Friday, 24 August. This innovative teambuilding experience formed part of the Corobrik-sponsored 2018 Women in Architecture Workshop, an informative networking event which brought together professionals in architecture. The Creative Bricklaying Workshop - which followed a full morning of productive presentations and conversations centred on the ‘Beyond the Binary’ theme - was a fun and energetic and innovative teambuilding initiative. “These women are leaders in their respective industries. They work daily on massive projects, designing skyscrapers and putting together major property deals, but most of them have never actually had the chance to lay a brick before, they work daily on the multiple aspects of building projects from design to client liaison and administration, but really enjoyed the hands-on chance of having fun with innovative brick laying and design”, said Karuni Naidoo of CNN Architects, organiser of the Woman in Architecture workshop. “It was really wonderful to see the women working together in teams, really enjoying the process and demonstrating architect’s ‘out-of-box’ thinking in response to the mornings ‘Beyond the Binary’ conversations. Women were organised into 10 groups, with half assigned a paving project and the other half a 1 metre by 1 metre wall-building project. The teams completed their individual patterns into a cohesive ‘W’-shaped design. Corobrik’s Derek Dimba demonstrated laying bricks in a stretcher bond pattern, as well as the correct way of buttering and pointing. Using the instruction as a basic foundation, the women then took it upon themselves to design their own unique creations. Some real hands-on skill was shared by the Corobrik brick-laying interns assigned to each team.